I graduated with a Chemical Engineering degree from Columbia University and an MBA in Finance from NYU. After working in energy and banking I retired and taught High School math in New Jersey. I found that teaching high school was not satisfying because there were too many students to deal with at one time. I most enjoyed helping students in a one-to-one basis. Having taught high school math, I know what the teachers want and expect from their students. Having worked for many years in engineering and finance, I have an excellent perspective as to how mathematics is used in real job situations. Feel free to contact me and discuss your needs. 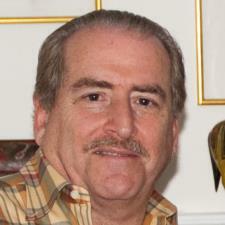 I live in Ridgewood New Jersey, and since I am retired, I have a very flexible schedule. I taught High School Algebra 1 at North Bergen High School for several years. I taught Algebra 2 at North Bergen High School. I taught Honors Geometry at North Bergen High School. I am quite familiar with the SAT math exam, and I have helped many of my high school math students prepare for this test.